Brazil has scored big for net neutrality after its lower house of Congress approved a groundbreaking post-Snowden bill that protects its users’ privacy rights, albeit with some sacrifices. The measure did not go as smoothly as could have. To ensure success, President Dilma Rousseff had to let it through at the cost of allowing companies such as Google and Facebook to store user information outside Brazil’s servers. However, other provisions, which ensured that internet providers gave equal privileges to all web traffic, were left in place. This went ahead despite contrary pleas by big local phone carriers who wanted to continue charging users higher prices for separate content, such as video streaming or Skype-like services. In return for allowing Google and Facebook the freedom not to be bound by Brazilian servers, where local user information was concerned, the bill gets to strengthen legal oversight and punishment for companies not respecting local laws when storing Brazilian user data internationally. 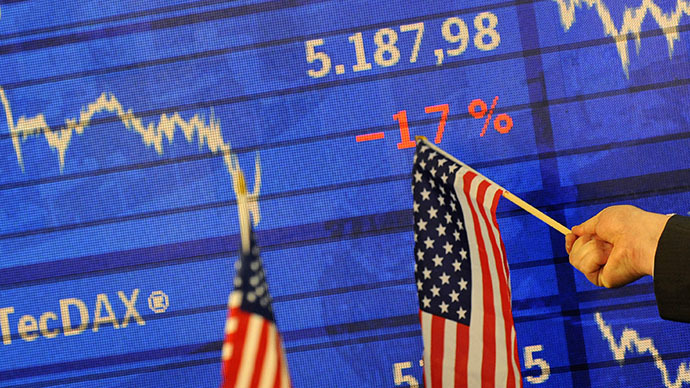 If any transgressions are detected, or data is not made available to law enforcement on request, a company would have to pay a fine equal to 10 percent of its annual earnings from the year before. Proponents of the Marco Civil bill, which has been dubbed the country’s Internet Constitution, say that it protects Brazilians’ internet freedoms, while setting limits on how their metadata is gathered by multinational internet companies. And Brazilians are avid Google users – over 92 percent of them use the service monthly, according to Bloomberg. 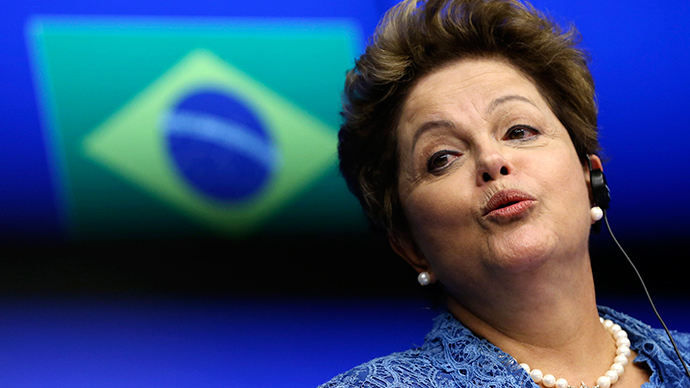 The bill must now go to the upper chamber, and then requires President Dilma Rousseff’s signature to become law. If it passes, Brazil will join Chile, the Netherlands and Slovenia among the countries that have pushed through net neutrality laws, Reagan McDonald, European policy manager at Access, told Bloomberg. It will also make Brazil the leader among large countries that fought for the principle. 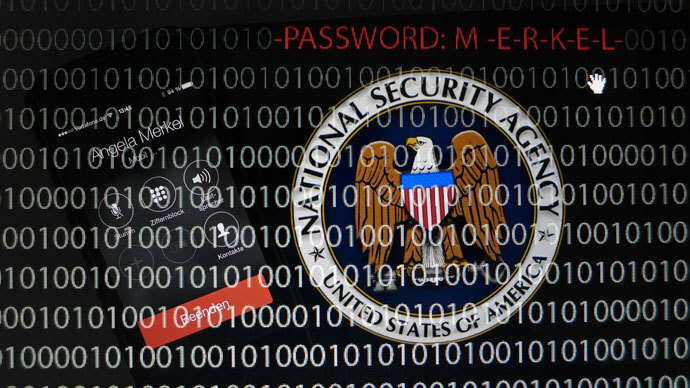 The root of the law dates back to the aftermath of the Edward Snowden revelations detailing the NSA’s worldwide program of mining user data from international servers belonging to search giants and other companies. 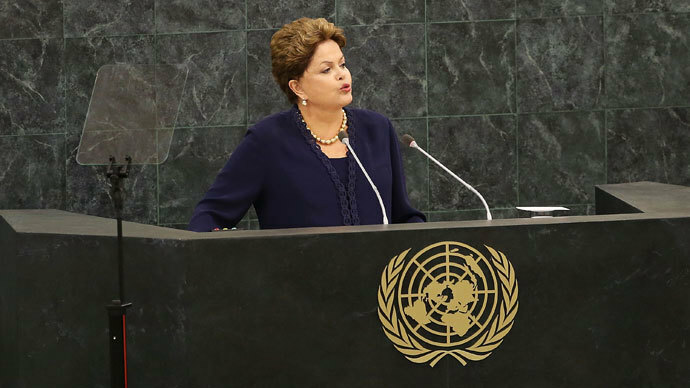 Rousseff has been very vocal in her opposition to US surveillance practices after it emerged towards the end of last year that the NSA had infiltrated state-run oil giant Petrobras. The US spy agency even managed to hack into Rousseff’s own e-mail account, according to classified cables obtained by American journalist Glen Greenwald and published by Brazilian newspaper O Globo. 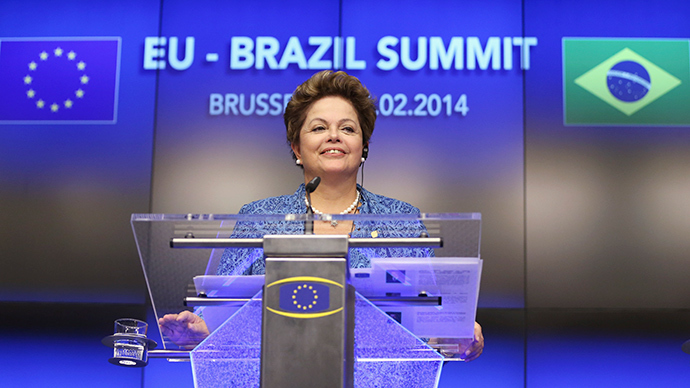 EU leaders are also sympathetic towards Rousseff’s position. According to cables, it emerged that the NSA had also been spying on German Chancellor Angela Merkel’s personal telephone calls, and other EU institutions. Rousseff moved quickly in October to get the bill passed urgently and to require that multinational companies store information on Brazilian servers, but they complained it would drive up their costs and inhibit the free flow of information. Other opponents of the measure to store information locally included those who believe it would be more vulnerable to hacker attacks than if it were stored on data centers abroad. Rousseff then caved in and allowed for the information to be stored in data centers, while pushing for compliance with Brazilian privacy laws. There is one remaining problem to sort out, and that is how the law would be enforced where companies not based in Brazil are concerned. The legislation doesn’t have international jurisdiction and can only make Facebook or Google comply if they don’t remove information after a libel case; but court orders to comply simply on request are still not mentioned in the text of the bill.